This looks like fun but isn't it too similar to Spider-man: Homecoming? Didn't do it for me actually. Felt they wanted to make it silly but someone accidentally turned it to eleven. Gives away a very 90's vibe? Sigh DC cant win with some people. Their movies get criticized for for being too dark but when they a lot lighter, people say they are just trying to copy Marvel. I mean, I actually laughed. Out loud. At a DC movie trailer. Sure it was a little cringey, but they must be doing something right. It looks like Big, so that's OK by me. This. 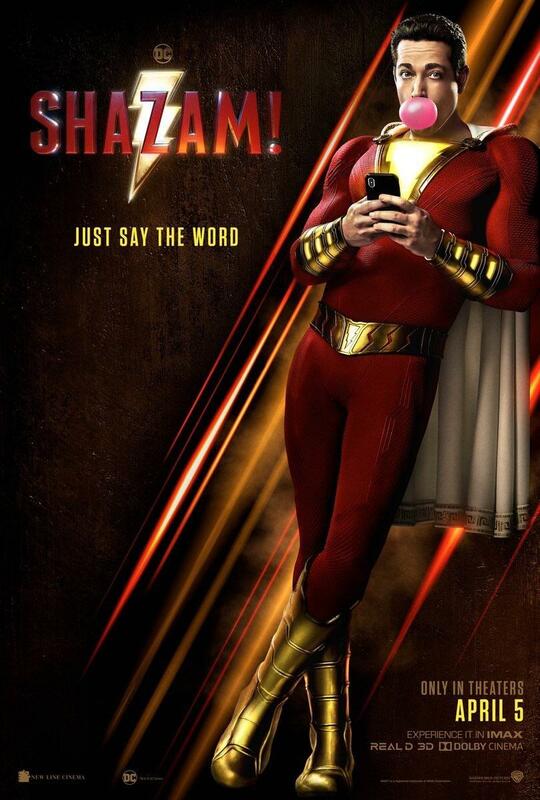 of the new comic book trailers, definitely liking Shazam a lot more over Aquaman that everyone seems to be spooging over online..
Omg yes! Didn't even click but yeah, same vibe. The Rock isn't in this right? It feels like he really should be. I think he's playing Shazam's main supervillain (Black Adam) but possibly not in this particular film? Nah it's been confirmed The Rock isn't in this. There's supposed to be a Black Adam film starring him sometime in the future. Hah, was what I was thinking. Looks great. Not sure how I feel about the obviously fake looking body suit though :/ Unless he actually got that ripped.